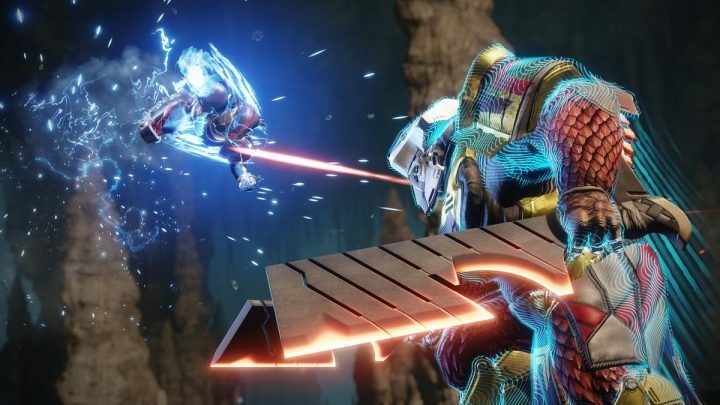 Fans have already discovered one of the early Black Armory Exotic Quests in Destiny 2. It’s hidden in a cave, naturally. Like all Exotic Quests, it isn’t exactly clear what you need to do, or how to complete each step, but we’re going to give this thing a try anyway. Here’s a quick guide explaining how to find the “Mysterious Box” in Destiny 2, and how to maybe (eventually) unlock the secret prize inside. There are plenty of hidden Exotic Quests scattered throughout Destiny 2 — this is just one of many. They crop up whenever a new DLC drops, or during special holiday events like the Halloween Murder Mystery quest. There’s not a whole lot that’s known about this particular ‘Mysterious Box’ quest, but we’ve got a few ideas. Check out the full guide below, and make sure to follow this article as we update it with any new information as it’s uncovered. To find the ‘Mysterious Box’ and begin an Exotic Quest, you’ll need to find a hidden collectible crate in the EDZ. Images in the gallery above were shared by Redditor u/Auraaaaaa. Mysterious Box Location: Located in The Tunnels area (EDZ), in the northwest dome chamber. When entering from below, stick to the right side to find the cave with the box. Interact to begin the Exotic Quest. The Mysterious Box has four step. You’ll need to unlock four locks, each with a unique symbol — a Butterfly Lock, a Fishhook Lock, a Hand lock, and a Black Armory Lock. It isn’t clear exactly how to open these locks, but players have a pretty good guess at this point. To unlock each lock, you may need to complete all four Forge events. There is a forge activity on four planets, and each one is more difficult than the last. The first forge, located in the EDZ, is PL 610+. There are symbols hidden in each area, and apparently they won’t activate until after the forge event is complete. You may need to reach PL 630 simply to complete the EDZ forge. That’s going to take a whole lot of grinding.